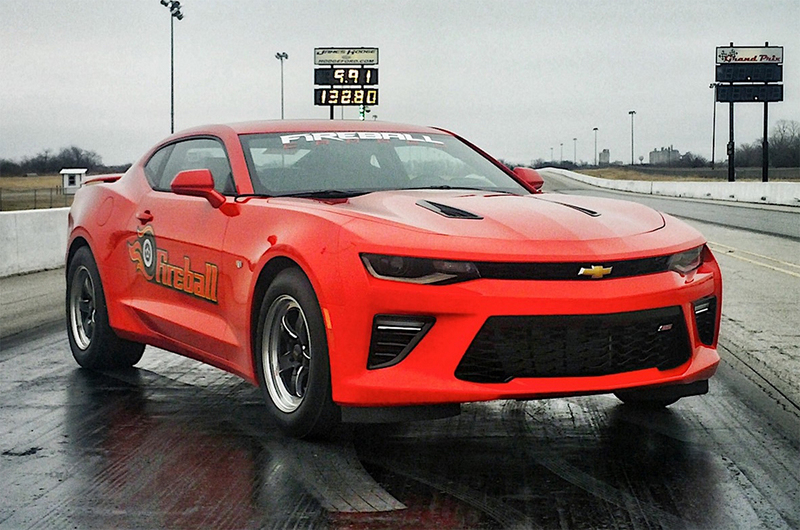 It was only a matter of time before the crew over at Fireball, out of Oklahoma City, finally broke into the 8s with their monster Fireball 900 Camaro. In case you are out of the loop, when we last checked in with the Fireball gang, their Camaro was consistently hitting 9-flats in the quarter, but an 8-second slip remained elusive. And now they’ve finally done it, becoming not only the first sixth-gen into the 8s, but the quickest Gen V LT-powered car of all time. Now, keep in mind that this car is considered a “production” car. While it may have some aftermarket tweaking–and by some we mean a lot–it is still available from a Chevrolet dealership and carries a warranty. You can even go buy your very own right now for just $90,000–eat your heart out Demon. And if that doesn’t fit the bill for production, we don’t know what to tell you. Regardless of whether you think it fits the bill of production, we can all agree that it is one badass machine.